NOTD: The New Black - Gold Grenade - Cherry Colors - Cosmetics Heaven! 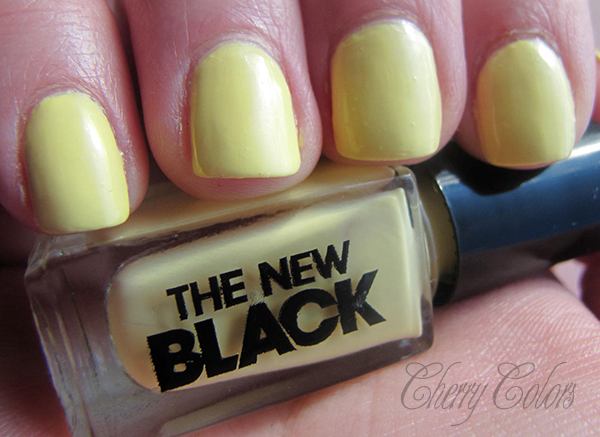 Last time I wrote about the Ikona event, where I received this nail polish from The New Black. The packaging has left me cold, because it reminds me of those H&M nail polishes. Because of that it gives me a cheap feeling. Nothing is wrong with cheap, except if you are paying quite a hefty sum for some nail polish. 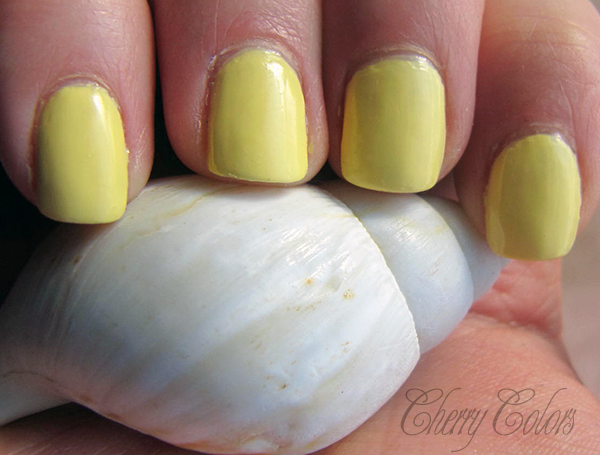 I used 3 layers, but this was to be expected after all it is a light yellow cream nail polish. I am a bit disappointed by the formula, to be honest. But the color is some damn fine yellow color! It looks fresh and it was a joy to have on nails. I also chipped after one single day. I cried, seriously. I will wear it another time and then I will update this post. But for now, I am not impressed. Do you own any TNB nail polishes? How do you like them?